1. Describe the nature of vision as a sensory-motor process. 2. Describe the processes of ambient and focal vision. 3. Describe implications for rehabilitation. 4. 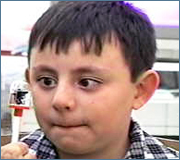 Describe the differences between acuity and functional vision. 5. 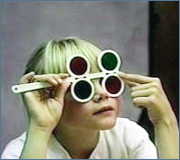 Describe the basic functional vision skills. 6. 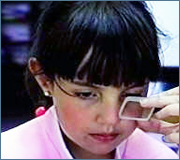 Describe procedures for screening functional vision skills. 7. Describe the four basic categories of functional vision. 8. Describe the basic visual skills of each category of functional vision. 9. Describe the transitional requirements from one category to the next. 10. Describe the condition of Strabismus. 11. Describe the use of various lenses. 12. Describe the concept of "Luster." Level I Introductory/no prerequsites required. For special needs requests please contact us by phone or email. contactus@clinicians-view.com Phone 575-526-0012. Fax 575-526-0014. Occupational, physical, speech therapists, certified athletic trainers, and other rehabilitation specialists.